Nestled amid an idyllic landscape, The Westin Trillium House, Blue Mountain is a haven of wellness and comfort. Serenity beckons from beautifully appointed hotel rooms and suites, featuring modern essentials, fireplaces, kitchenettes, signature Heavenly® amenities and striking views of the Georgian Bay or Niagara Escarpment. Immerse yourself in scenic splendor, boutique shopping, vibrant nightlife and endless outdoor recreation. 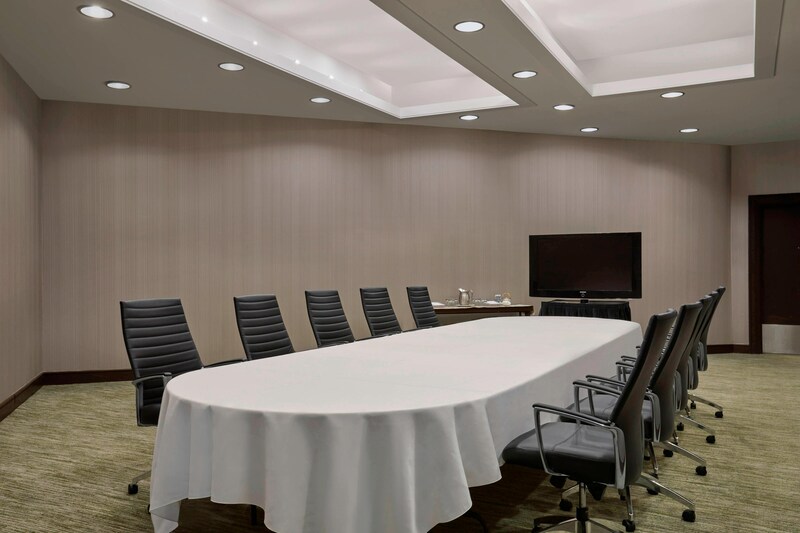 Work well amid majestic mountain beauty in sophisticated spaces for meetings and social engagements. Move well in our sleek fitness center, feel well in our resort-style pool and play well under the sun at our private beach. After a day of skiing, shopping, business or exploration, savor creative cuisine at Oliver & Bonacini Café Grill, our stylish hotel restaurant. Located just two hours northwest of Toronto in a lively pedestrians-only village, our resort offers rejuvenating wellness experiences in one of the most stunning travel destinations in all of Ontario, Canada. 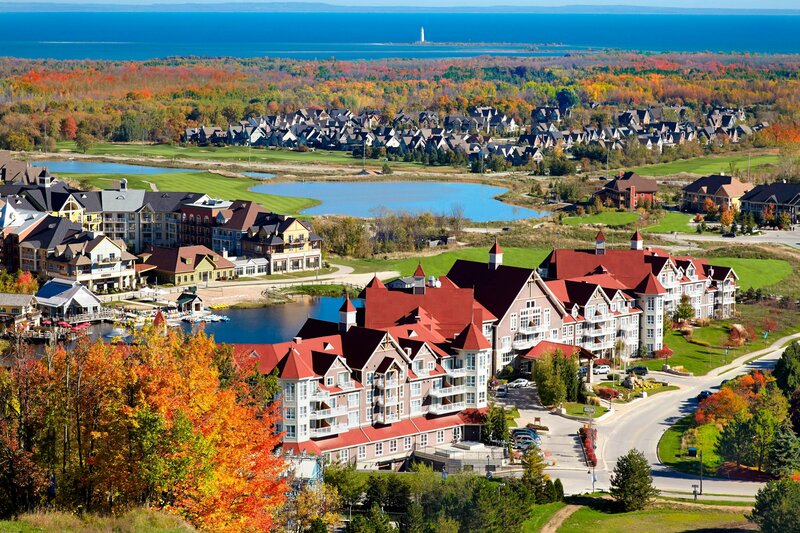 A four-season destination located just two hours northwest of Toronto, The Westin Trillium House, Blue Mountain is nestled between the shores of Georgian Bay and the heights of the Niagara Escarpment. Explore our backyard, where mountain adventures and spa renewal await. The hotel is located just off the Blue Mountain ski resort, the largest in Ontario and on the Georgian Bay. The hotel provides extensive winter and summer programming on the slopes and lake in partnership with Blue Mountain. The Blue Mountain Village is just steps away from the hotel and is Ontario’s only four-season mountain pedestrian village. 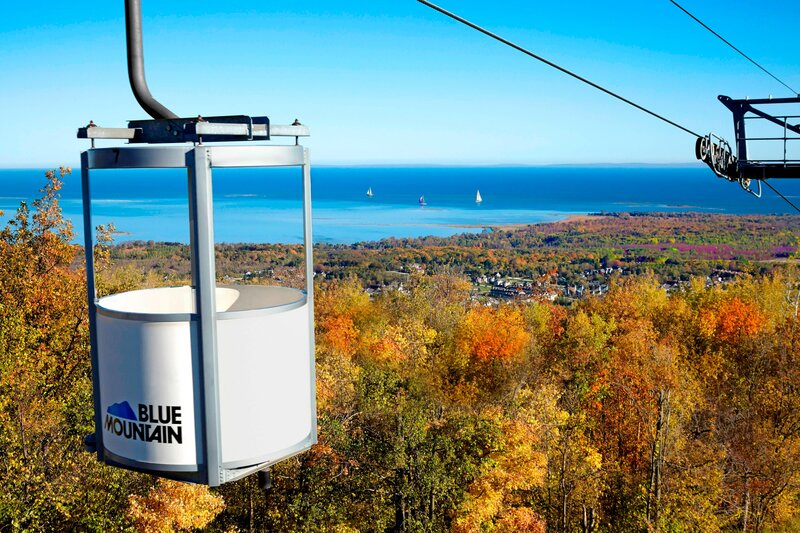 Dining, shopping, night life, family activities and world-class festivals and events can all be found in The Blue Mountain Village. All guestrooms and suites are equipped with Heavenly beds and bath amenities. Special amenities include heavenly crib, larger suites for families, and heavenly dog beds for our four-legged friends. This suite boasts an extra-large balcony with stunning views of the Millpond, Mountain, Village, and Georgian Bay. The separate den offers a sanctuary for reading or working, in addition to an additional pull-out sofa and a third full bath. You’ll find the feel of city and country combined in one of the stylish and spacious One-Bedroom Loft Suites. Colors of the majestic Georgian Bay are echoed in the fabrics and carpet, which complement dark wood furnishings. Sleep deeply amid the crisp white linens on the sumptuous queen-size Heavenly® Bed. Enjoy stunning natural views of the Georgian Bay or Niagara Escarpment. 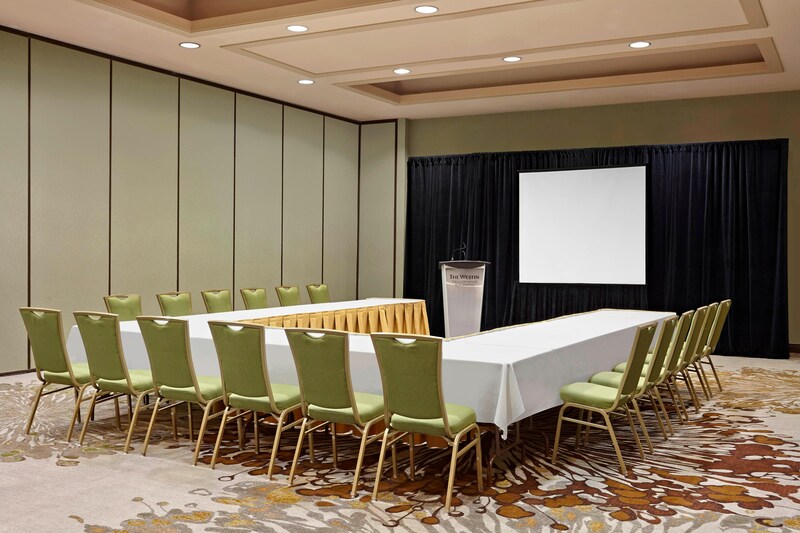 The hotel has 7,000 sq ft of meeting space. Our venues include two ballrooms and a stunning pre-function area with its own private outdoor terrace, overlooking the Blue Mountain Village. The hotel also offers an array of team building and group activities. 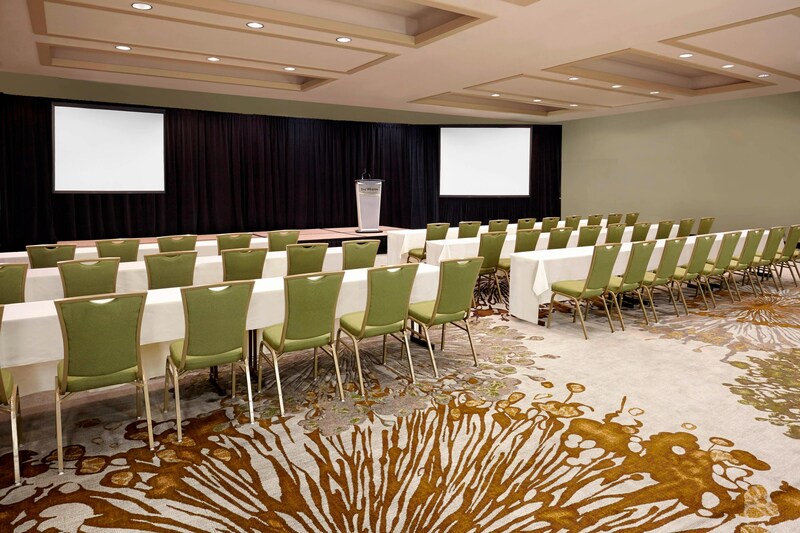 Our venues include two ballrooms and a stunning pre-function area with its own private outdoor terrace, overlooking the Blue Mountain Village.